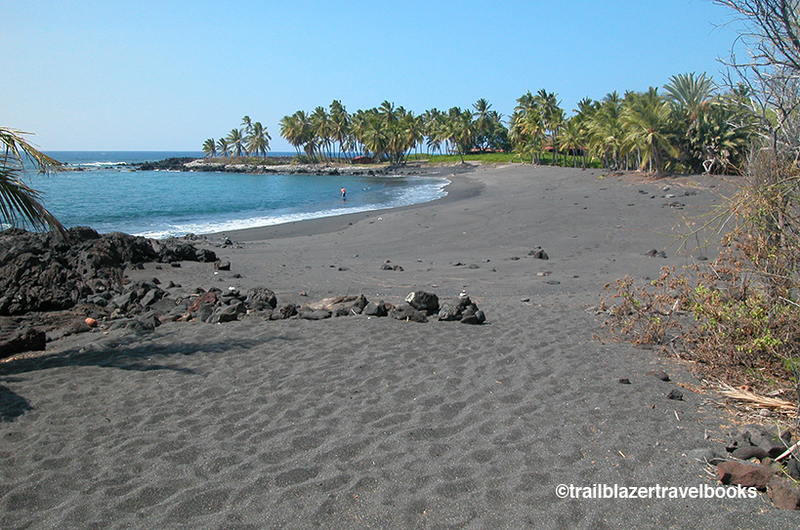 Take the coastal highway about 20 miles south of Resortville in Kona, and you will find the fishing village of Miloli’i, and from there walk 20 minutes on a coastal trail to the wild, palmy cove that is Honomalino Beach. Yes, it does exist. Full disclosure: You need to drop five miles down a winding road over an arid lava landscape to reach the village, which is not made up of little grass shacks, but rather homes that will seem rundown to the tourist eye, accented with the detritus of modern life. And these days, the Hawaiians are fishing in aluminum boats, not outrigger canoes. Still, Miloli’i is real to the bone. 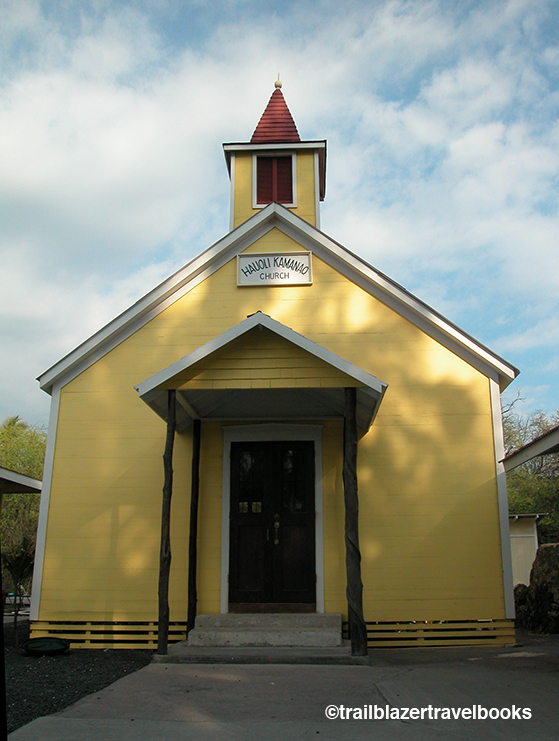 The beating heart of village life is centered around Hauoli Kamanao, a petite church with big mana. 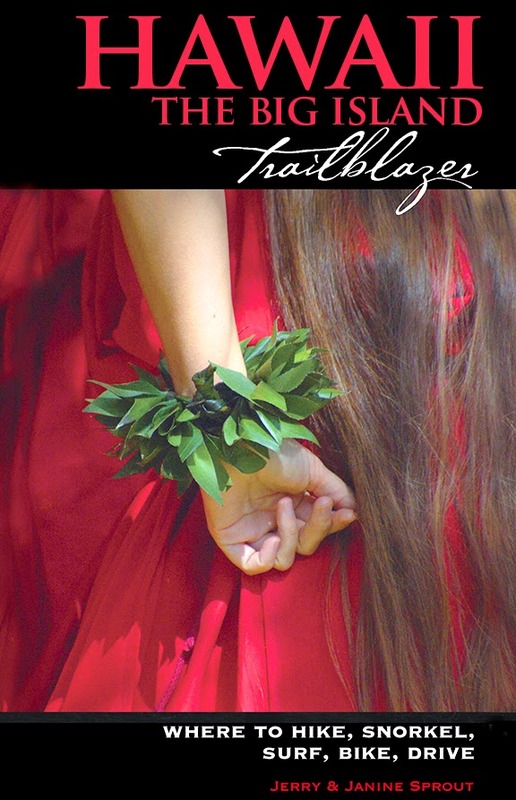 Miloli’i hosted one of the last performances of singing legend Iz Kamakawio’ole. In 1962, another singing great, Elvis, shot scenes at the town’s cove for his epic movie bomb Girls, Girls, Girls! 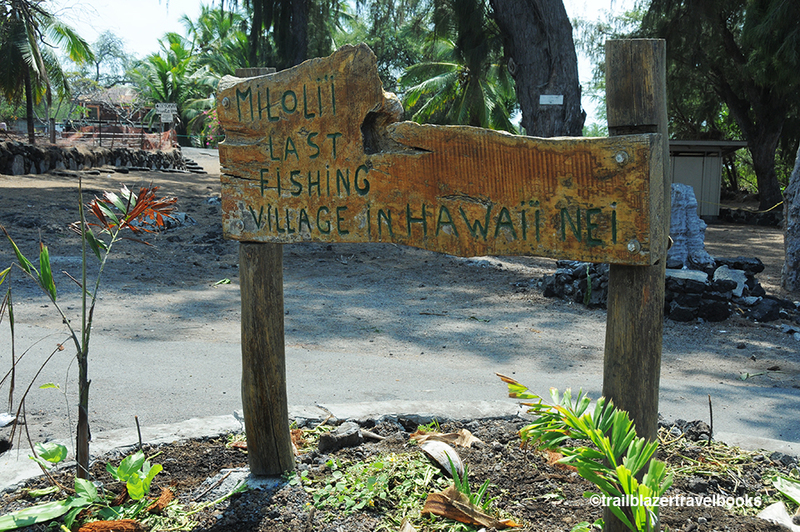 Travel tip: Miloli’i sees few tourists. When you see locals, you will find that a dime’s worth of friendliness offered will get you a dollar’s worth of kindness in return. 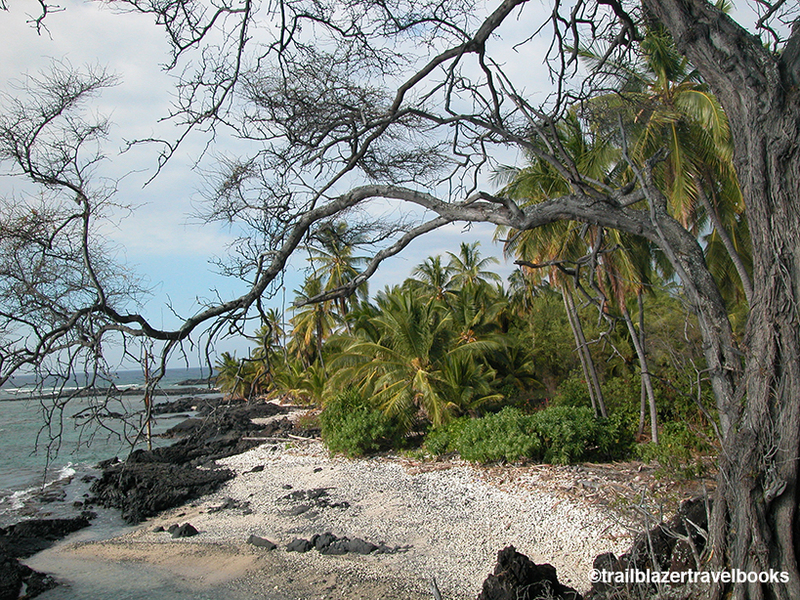 Beginning at Miloli’i Beach Park by the basketball court, the trailhead to Honomalino Beach has signs meant to be off-putting tourists (see travel tip, above). 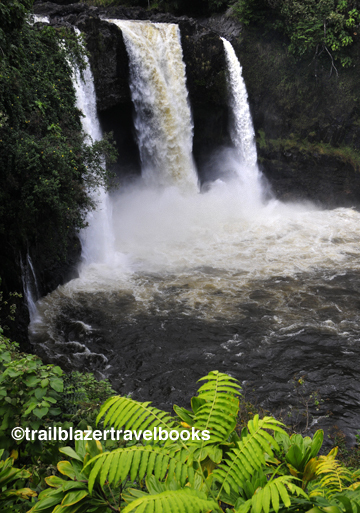 The easy route penetrates a thicket of coastal flora and a few rock-wall ruins. 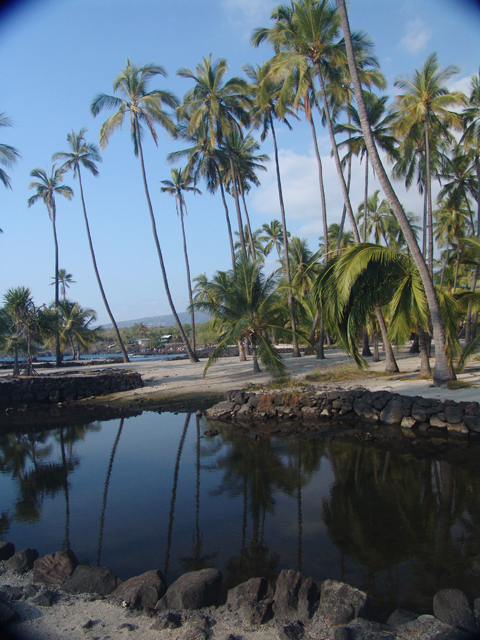 Clear waters are fringed by coral and lava cobbles. 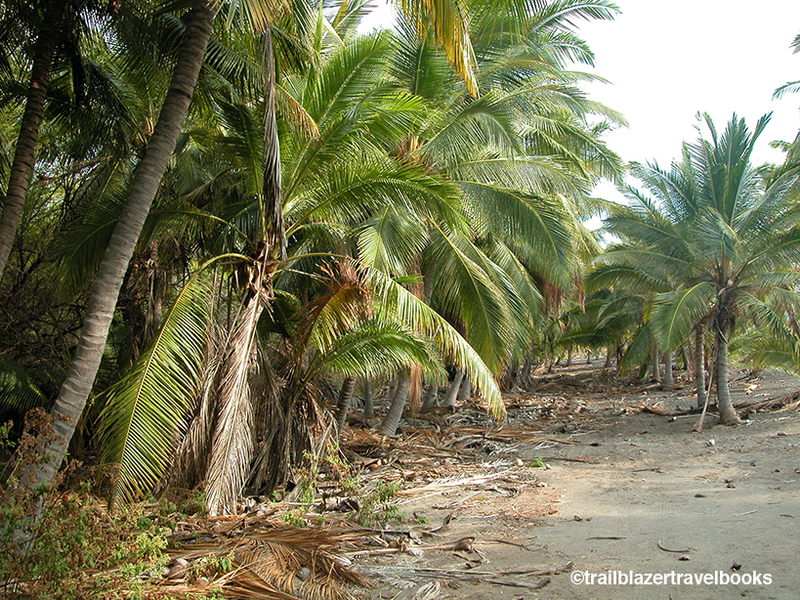 A grove of coco palms let’s you know you have reached the beach. Honomalino is a perfect crescent, its sand a mix of fine coral and lava. The shore drops to deep water, but swimming is normally safe. There’s lots of wandering to do. Your beach mates are likely to be a pod of spinner dolphins that regularly cavorts in the near-shore waters.